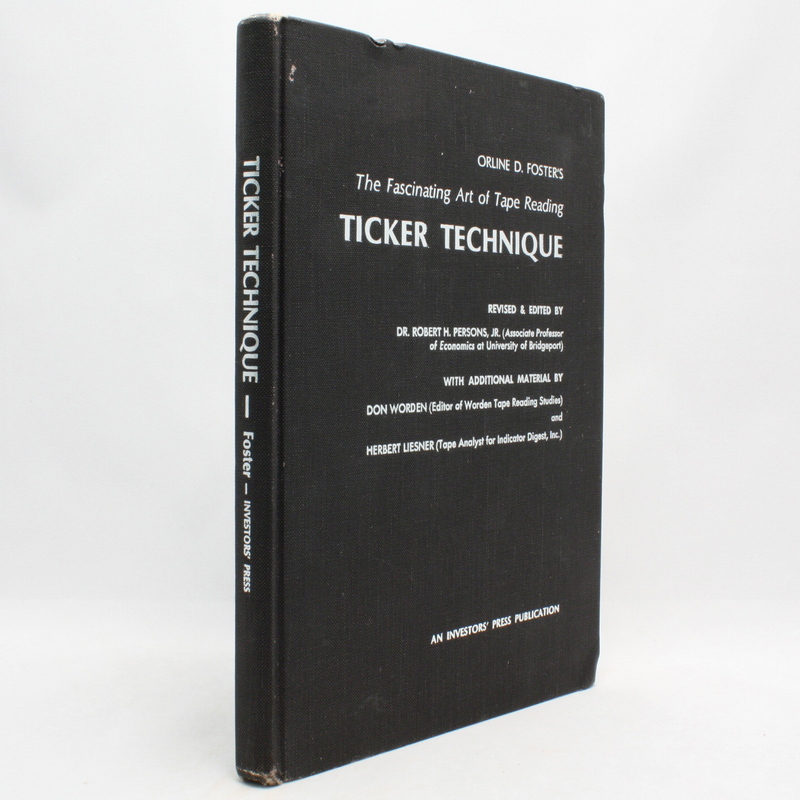 Ticker Technique - IFA Vintage and Current Book Library - Index Fund Advisors, Inc.
Orline D. Foster compiled the original edition of Ticker Technique in 1935, and it has become one of the classic works in the field of tape-reading. Most of what the author said is still applicable to today's market, but in some instances rules of trading and conditions have changed. Accordingly, some of the material in the original edition has been omitted, and some has been updated or expanded. In the latter case, the writings of other great tape-readers of the past have been drawn on to give fuller meaning to the original text. While this additional material is being included in the interest of greater clarity, every effort has been made to keep it to the barest minimum. One of the most appealing features of the original edition of Ticker Technique was the fact that it brought together so much of the wisdom of tape-reading in such a small space. The aim of the present edition remains the same as those expressed in the original foreword: To the stock market, every fluctuation on the ticker tape has its own meaning. The speed of the trading; the volume; the size of the blocks of stock; the fluctuation of the prices; the type of stocks in which the major trading is done-these are the mosaics from which he works out his pattern. By following the tape he knows whether it is a waiting market, a distributing market, a market of accumulation or whether indications point to a reversal. In the following pages it has been my intention to classify some of these signals that the average trader might study, and make use of them. No effort has been made to offer detailed information on individual moves, preference being given to making each statement concrete. Ticker Technique isintended as a handbook for traders, a book to be kept on every operator's desk.